New to this series? Obviously, this is my first entry. But why not start by reading my preamble to this series before cracking on with this one. Which I’ll be updating as I continue to write more. 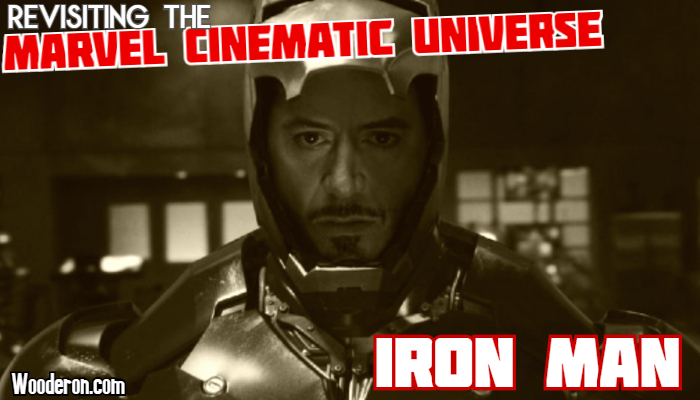 To begin my series of talking about the Marvel Cinematic Universe from the beginning; We dig into 2008’s Iron Man. The first big movie release from Marvel Studios, when the wider MCU was but a glint in their collective eye. There is a lot I could dig into when talking about this movie. But the most appropriate point feels like how this movie was acted as the springboard that launched the thing that altered the course of movies for the coming decade. And how we ended up losing something along the way. I kind of purposely avoided this topic while it was hot, it felt like there were just too many red hot takes when it came to Captain Marvel. Not only that, but it felt like there were too many people who’d spring loaded themselves to bite the head off anyone who would try and direct some genuine criticism at the movie. As a result, my review of the movie shortly after seeing it was very levelled. You could call that cowardly if you wanted. I call it me not wanting the hassle. Because being really honest, Captain Marvel is a perfect example of the current Marvel Cinematic Universe; and that is really the biggest problem I have with it. Avengers: Endgame Buildup – Is Iron Man going to die? With the assumption being that Avenger Engame will be the final movie in the current iteration of the current MCU lineup, one question has been on the lips of every speculation blog, podcast and forum: Which characters are going to die in this movie. But permanently this time. We already had a larger number of deaths as of the end of Infinity War, half of all life in fact. But only a few of these deaths actually feel like they might actually stick. When all is said and done, when Thanos is defeated and his erasure of half the universe undone, the question is: which of the original Avengers are going to be left standing. Tony Stark, Steve Rogers, Thor, Bruce Banner, Natasha Romanoff and Clint Barton. All signs point to this being their final movie in the MCU as a new era of stories begins with newer, younger actors.